These are typically eaten for the Jewish New Year to insure a sweet new year. I’m a bit late posting because I wanted to see how well they froze. The answer: perfectly! These would be wonderful holiday gifts too especially in the little loaf pans. Fits in three loaf pans, two 9-inch square or round cake pans, one 9 or 10 inch tube or bundt cake pan, or one 9 by 13 inch sheet cake. I made mine in one full-size loaf pan plus four miniature ones. Preheat oven to 350°F. Generously grease pan(s) with non-stick cooking spray. Line the bottom with lightly greased parchment paper, cut to fit. Freeze once cooled and store for up to 3 months. I was waiting to post this recipe because I wanted to see how it freezes. Oh mah japles! It turned out so well. A couple weeks ago, when I had sooooo many peaches from our harvest, I made this recipe to every step but the final baking. I froze it and then vacuum sealed it. I was worried about the topping because frozen uncooked cobbler does not look promising. I defrosted the cobbler by putting it on the counter for a couple hours in the morning. Around noon, I put it in the fridge. Then, i put it back on the counter while cooking dinner to come to room temp. When dinner was served, I cranked up the oven to 400 degrees and cooked it for 30 mins. It came out perfectly – especially served with the nectarine Ice Cream. In a large bowl, fold the peaches, sugars, cinnamon, nutmeg, lemon juice and cornstarch until all ingredients are well combined. Don’t over mix or you’ll smash the peaches. Pour fruit mixture into a round tin sue dish. Place in preheated oven and bake for 10 minutes. While peaches are in the oven, mix together all the dry topping ingredients. Use a pastry cutter or your fingers to cut the butter into the dry ingredients until the mixture looks like coarse meal. Pour in the boiling water and stir just until the mixture comes together and is just mixed through. After the peaches have baked the 10 minutes, pull them from the oven and drop large spoonfuls of the dough topping over peaches. If you’re going to freeze, let the filling cool first. Evenly sprinkle the top of the dough with the 3 tablespoons of sugar. Put the tin on a baking sheet (to catch any filling that bubbles out. Then bake for 30 mins or until the topping is golden brown. Your house is going to smell delicious!! “A perfect after dinner palate cleanser,” says the hubby. David Lebovitz’s The Perfect Scoop has my favorite ice cream and sorbet recipes. Since I had pounds and pounds of nectarines recently, I made his Peach Ice Cream recipe with a few minor adjustments (like the fruit exchange). Cook nectarines with water over medium heat, stirring until soft (about 15–20 mins). Remove from heat and stir in the sugar. Let this cool to room temp. Blend the cooled nectarines with the other liquids until almost smooth. Leave some pieces of fruit visible because that’s delicious. Chill the mixture overnight. Then put it in your ice cream maker (I have a cuisinart) for the time required by the manufacturer. Mine calls for 15 mins. It then needs some time in the freezer. It’s usually ready in a few hours but we eat it the next day. If you’re fancy, eat it topped with whipped cream and granola or toasted coconut. I’ve made tons of crisps over the years. I’ve done all the berry combinations and have always loved how easy they are to throw together. Then, I had this one. You guys, it is mind blowing good. The peaches with the pecans, not to mention the stick of butter. It is perfectly crispy with warm oooey peaches. You should make this today. Adapted from a recipe found on Pinterest. Mix the filing ingredients together in one bowl. Add to a 9″ round pie pan. Mix the crisp ingredients together in a separate bowl. Sprinkle on top of the peach mixture. It’s going to sit really high like a mountain. Bake on a cookie sheet for 40-45 mins. Let it cool for 20 mins before trying to take a bite. It’s like molten lava underneath. Enjoy with a scoop of vanilla ice cream on top. 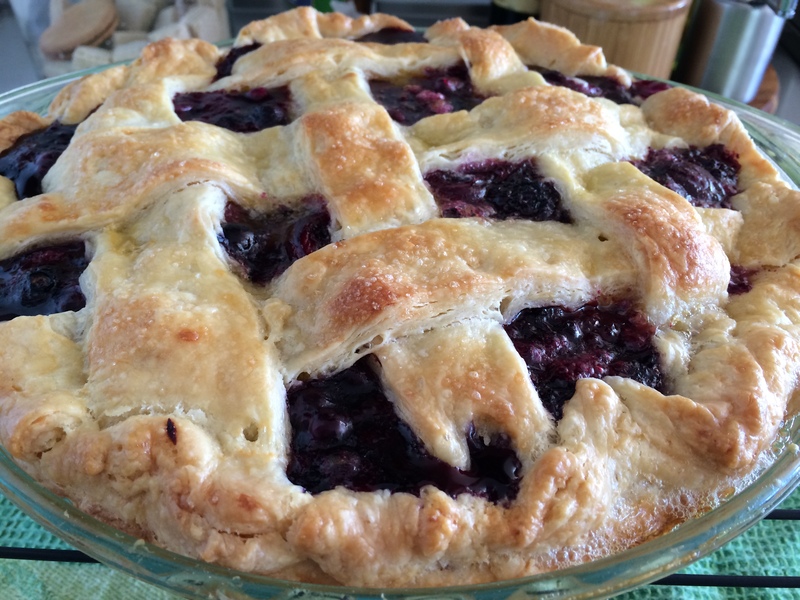 Did you know that with an extra 30 minutes, you could have the most flaky and delicious pie crust for your creative self to add any kind of sweet or savory goodness to? I still think buying a pie crust is the easy option but there’s something extra in your pie when you make the crust. Maybe somehow, a little extra love gets into the pie during the kneading and rolling process. Maybe it’s the massive amount of butter. Whatever it is, people always comment on this crust recipe when I make our pies. In a food processor, combine the flour, sugar and salt and pulse to combine. Add the butter and pulse until the mixture resembles coarse meal. (I don’t have a food processor so I just use a bowl, pastry cutter and fingers to combine everything) Add the 6 Tbs. ice water and pulse twice. The dough should hold together when squeezed with your fingers but should not be sticky. 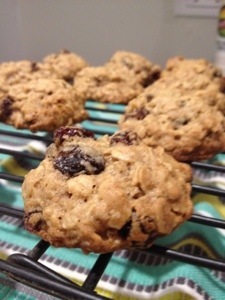 If it is crumbly, add more water, 1 tsp. at a time, pulsing twice after each addition. Turn the dough out onto a work surface and divide in half. Shape each into a disk. Wrap with plastic wrap and refrigerate for at least 2 hours or up to 2 days. Remove the dough from the refrigerator and let stand for 5 minutes. Place 1 dough disk between 2 sheets of lightly floured waxed paper and roll out into a 12-inch round about 3/16 inch thick. Transfer to a 9-inch deep-dish pie dish and press the dough into the dish. Trim the edges, leaving a 1/2-inch overhang. Fold under the excess dough and, using your thumb, decoratively flute the edges. Roll out the remaining dough disk in the same manner. Cut into long strips for the top of your pie. Or save if your pie doesn’t need at top. 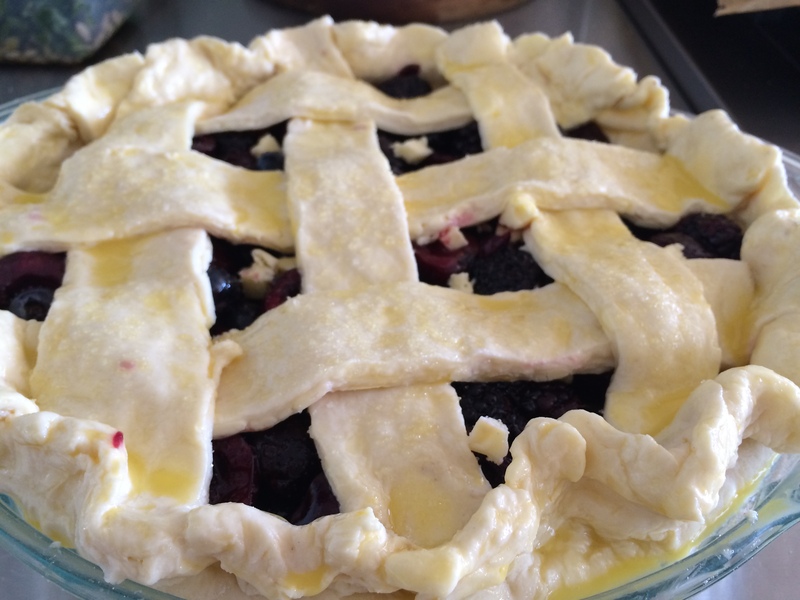 Place the piecrust and strips in the freezer for 30 minutes. Position a rack in the lower third of an oven. Place a baking sheet on the rack. Preheat the oven to 400°F. Brush the edges of the crust with the egg mixture. Line the piecrust with parchment paper and fill with pie weights. Place the pie dish on the preheated baking sheet in the oven and bake for 20 minutes. Carefully remove the parchment and weights and bake until the crust is light golden, about 5 minutes more. Transfer to a wire rack and let cool completely. Makes enough dough for one 9-inch deep-dish piecrust plus decorative top and a little extra or two pie crusts. Following the “oh crap, I need to archive these recipes for next year” theme, here’s the most delicious Summer pie recipe EVER. And who’s to say this can’t be made in Winter? Prepare the bottom crust: Roll out the chilled pie dough into a 12 inch round. Gently fit into a 9- or 9.5-inch pie plate. Prepare the top crust: Roll out the chilled pie dough into a 12 inch round. Cut lengthwise into 6 pieces. 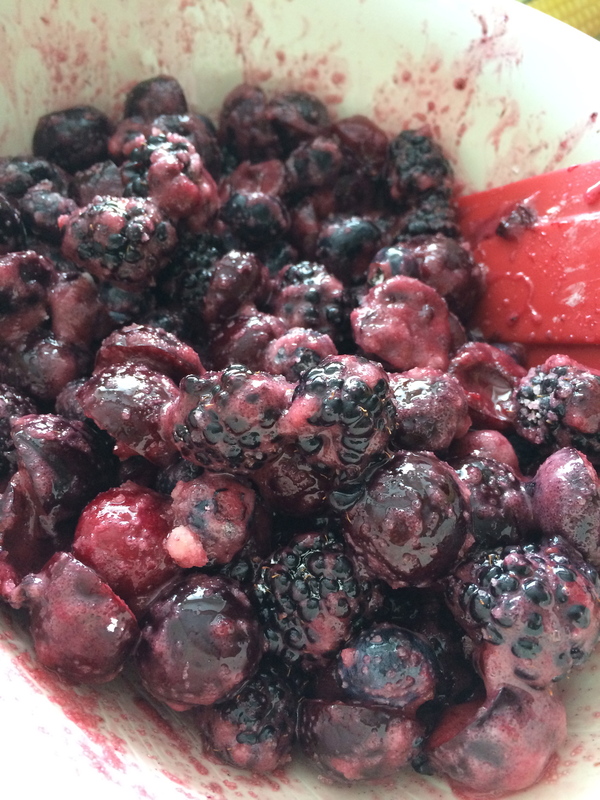 Make the filling: In a large bowl, mix the cherries and berries with the sugar, cornstarch and kosher salt. Taste the mixture to see if you want more sugar than is called for. 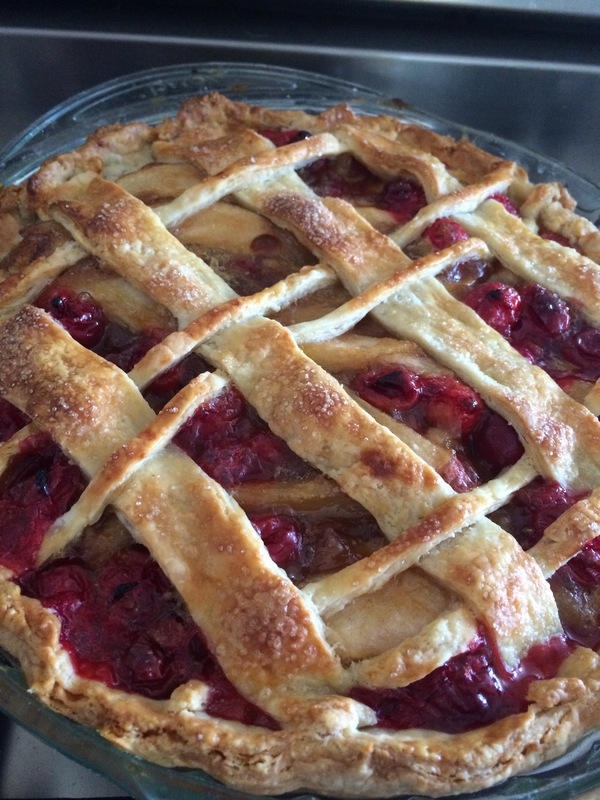 Assemble the pie: Pour the cherries and berries into your pie shell. Sprinkle the butter pieces across the filling. Lay three of your top dough strips vertically and evenly spaced across the top of your filling. Then weave in the remaining three pieces horizontally. 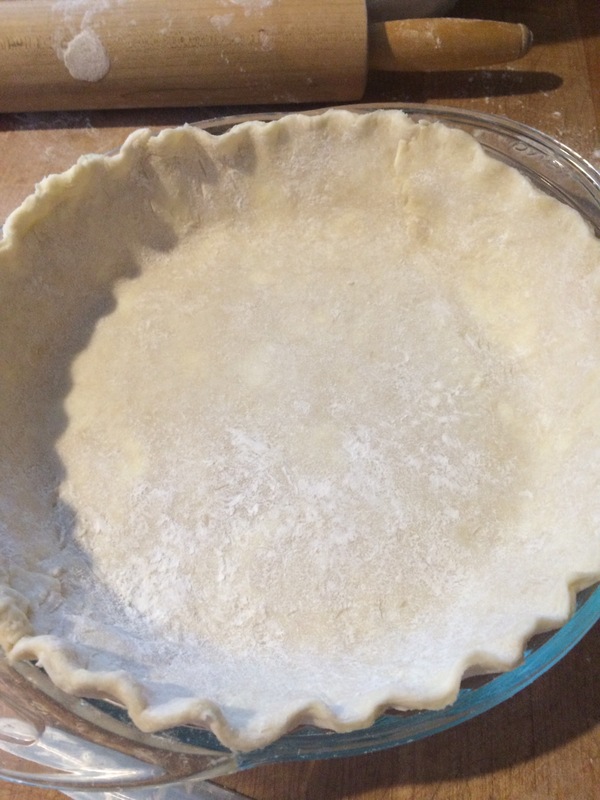 Pinch the top strips into the bottom crust and crimp decoratively. Brush the top of the dough with your egg wash. Sprinkle with sugar. Bake the pie: Preheat the oven to 375 degrees. Place the pie plate on a foil-lined cookie sheet. Bake for about 1 hour, or until the juices are bubbling and thick. Remove to a rack to cool to room temperature before serving. Mix butter and sugar together until sugar is dissolved. Add the egg and vanilla. In a separate bowl mix flour, baking soda, cinnamon, salt, and nutmeg. Add these dry ingredients to the butter and sugar mixture. Once its all mixed, fold in the oats, raisins and pecans. Cover a cookie sheet with parchment paper. 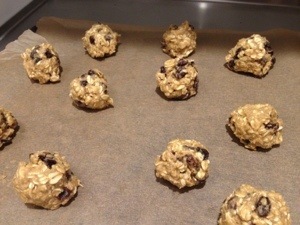 Spoon and roll the dough into ping pong sized balls and place on the parchment (leave 2″ between cookies). Bake for 10-12 mins or until just golden around the edges.